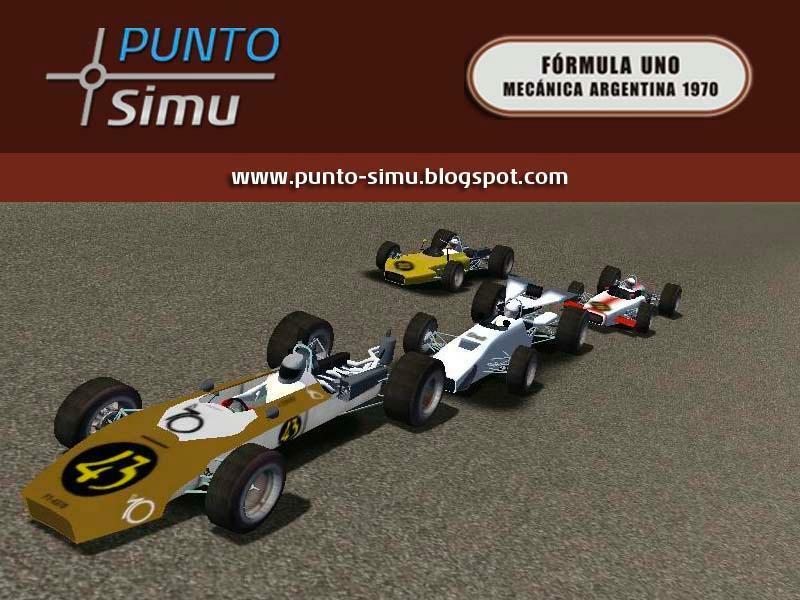 The "Fórmula Uno Mecánica Argentina" was born in 1962, derived from the Fuerza Libre Argentina competing in several decades. This is a open wheelers racing mostly in Argentina, with locally manufactured chassis and mechanical street cars. The current version of the mod together 10 cars that took part in the championship in 1970. The mod is in alpha state, is a first release and a sign of things to come. - Watches the board: be 5 maximum RPM, level of gasoline, oil level, oil temperature and water temperature. - Mirrors: do not walk in all models, and some are bad. - Escapes: although the effect of fire in the exhaust rFactor is not very good like me in the file. 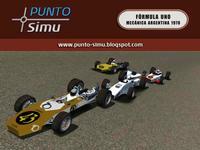 - Emprolijar models and textures, especially in the first cars modeled. - Finish painting textures and shading to make, especially in the first cars modeled. Shadows and final details (like the holes in the suspension) will miss everyone. - Adapting the model to rFactor: names wccarbody materials such as, for example. - Set the collision files. - Optimize the display of cars on the menu. - Optimize Physical and performance car drivers. This is just a preview of things to come, be grateful for comments and / or criticism to improve work, as well as the willingness of people eager to cooperate in the completion of the 3D models, it takes time to the free hours of a human being. They can communicate by any means available in the find me: blog, facebook, forum / s, rfactorcentral. To install, simply extract the archive contents in your rFactor installation folder. And enjoy! Hey Mombassa!! ¿Qué pasó con este MOD? ¿Lo llegaron a terminar? La verdad que se ve recontra prometedor! !